When God brought the Israelites out of Egypt, His intent was to make them a model nation. He wanted them to be a light to the world, so He gave them specific statutes and judgments, and warned Israel to follow His instructions. Who Should Keep the Feast? Today, most people erroneously assume that these biblical Holy Days were only given to the Jews and not required of Christians. However, these people are mistaken! The Bible clearly reveals that Jesus and His disciples kept the Days of Unleavened Bread (Luke 22:1). Jesus’ parents, Joseph and Mary, went to Jerusalem every year at the Feast of Passover (Luke 2:41). Furthermore, Jesus Christ often spoke about the significance of leaven, which makes the Feast more meaningful in His plan for humanity. During His ministry, Jesus used the parable of the loaves and the fishes to explain the significance of leaven and sin to the Pharisees and Sadducees. Notice, Jesus said He didn’t speak to them concerning bread. They then understood that He did not tell them to beware of the leaven in the bread, but of the doctrine of the Pharisees and Sadducees. Be aware of the leaven; bad doctrines affect the soul as leaven does in a meal: they assimilate the whole spirit to their own nature. A man’s particular creed has a greater influence on his temper and conduct than most are aware. Pride and hypocrisy constituted the leaven of the Pharisees and the Sadducees. The apostles understood Jesus had warned them against the self-righteousness of the Pharisees, which produced hypocrisy, pride, envy, lust, and the false doctrines of the Sadducees, which denied many essential truths revealed in the Old Testament (Matthew 16:5-12). Clearly, we see that leaven represents sin. Obviously, this is a New Testament command for keeping the Feast of Unleavened Bread, given to a mostly Gentile church at Corinth. How are Christians to Keep This Feast? As we approach Passover and remember Jesus Christ as the supreme sacrifice of the true “unleavened bread of sincerity and truth,” His followers will diligently remove all leaven from their homes because of its representation. The principle is clear, baked products containing leaven (sin) should be discarded. 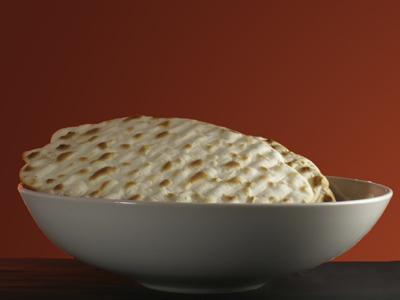 For seven days, they will eat only unleavened products (Leviticus 23:6-8). They will perform this ‘spring cleaning’ while remembering that just as crumbs of leavened bread may have fallen into the hidden corners and secluded areas around their homes, so too sin may be lurking in the hidden quarters of their lives. Indeed, some may be surprised by the places they find leavening agents. The Feast of Unleavened Bread is a time for personal reflection and examination. We should meditate on our attitudes and ask God to help us recognize and overcome our shortcomings. Observing the Festival helps us to realize our need for Christ’s help to overcome our weaknesses. Yet, this Feast is certainly a time for rejoicing because Christ freely gives us the help we need. True Christians must get leaven out of their homes and off their property while focusing on the reflected spiritual meaning of completely ridding sin from their lives. They are to remind themselves they have a continuing responsibility before God to overcome sin, thereby, becoming a new lump (person) for Jesus Christ our Passover (1 Corinthians 5:7-8). For more information on the Days of Unleavened Bread, request your FREE copy of God’s Seasonal Plan. (Also available online. To get the latest Prevail Magazine articles, updates and news, subscribe to our RSS feed or sign up via email!